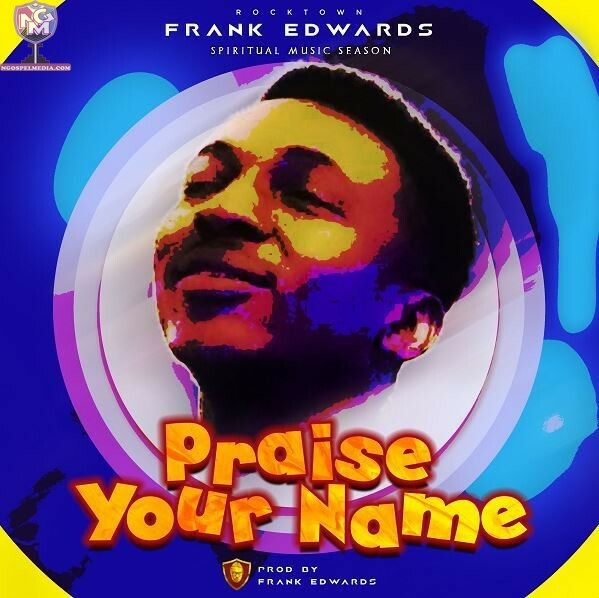 Frank Edwards - Praise Your Name (Mp3 Audio Music Free Download) - Still feeling the anointing flowing from the Spiritual Music Season, Nigerian Gospel hitmaker and prolific producer, Frank Edwards has returned with another hot and groovy tune titled “Praise Your Name”. As you all know Frank has a penchant for producing gospel songs that get listeners dancing while praising God, the RockTown Records boss doesn’t disappoint this time. “Praise Your Name” is a groovy song that makes you dance away your problems as you listen and Praise His Name. Frank Edwards unveiled the new single as the third track off the Music Season, and was produced by Frank Edwards himself. “Praise Your Name” is a follow up track to the successfully accepted single “Miye Ruwe”. “Over the years, God has given the body of Christ; beautiful songs and these songs have been very helpful to the body of Christ and we praise God for that.Recently, I was troubled in my spirit and was asking God “Why are there challenges everywhere? People are sick, hungry, and broke. And these people are also children of God!”And God said to me: “Listen! In your hands lies the solution. Your music is a tool, because whatever these people are looking for, they already possess it. They only need faith to be revived in them and then they will begin to receive their blessings”. Quickly download Frank Edward’s latest offering, and be sure to get your dancing shoes ready as you praise God while dancing away your sorrows.